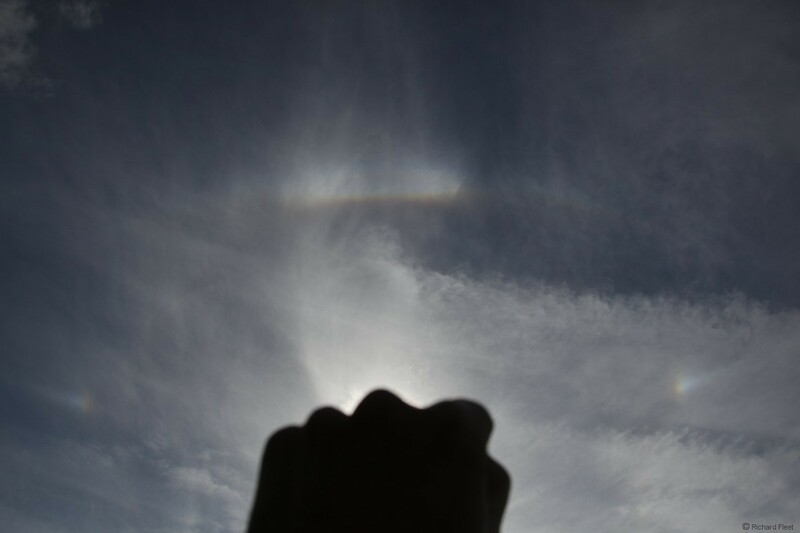 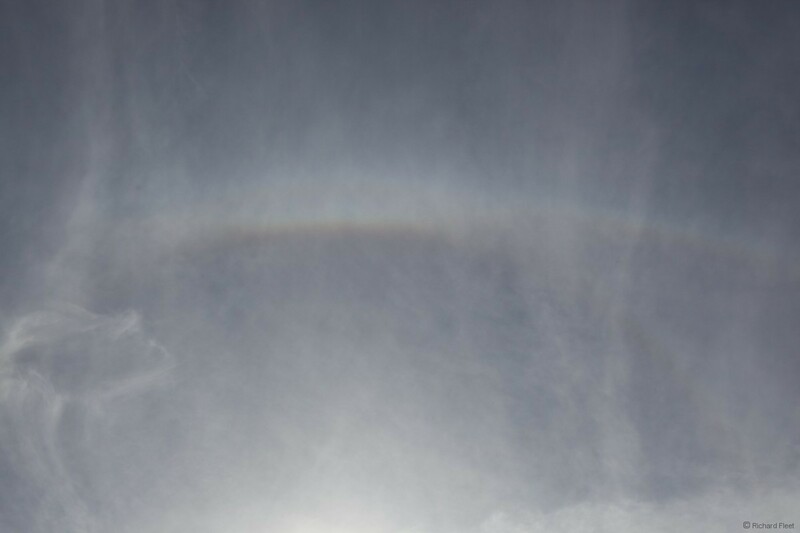 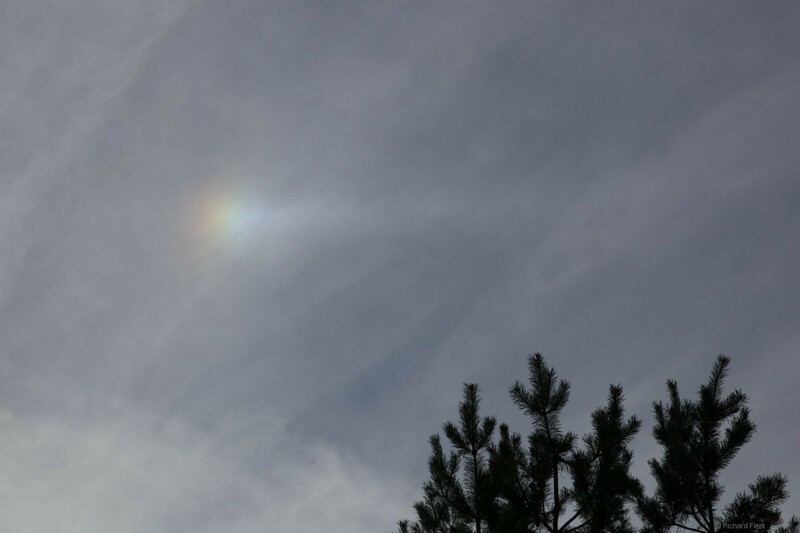 The display started with this weak section of parhelic circle and 120 degree parhelion. 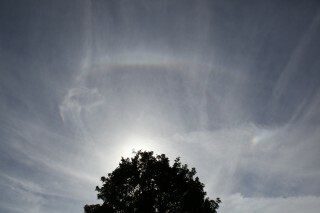 That was followed by a bright sundog and an unusually bright section of Parry Arc. 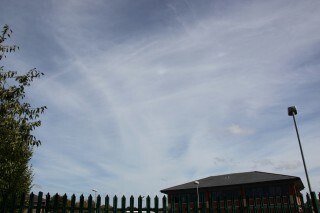 Despite the streaky cirrus the upper tangent and Parry arcs were quite distinct. 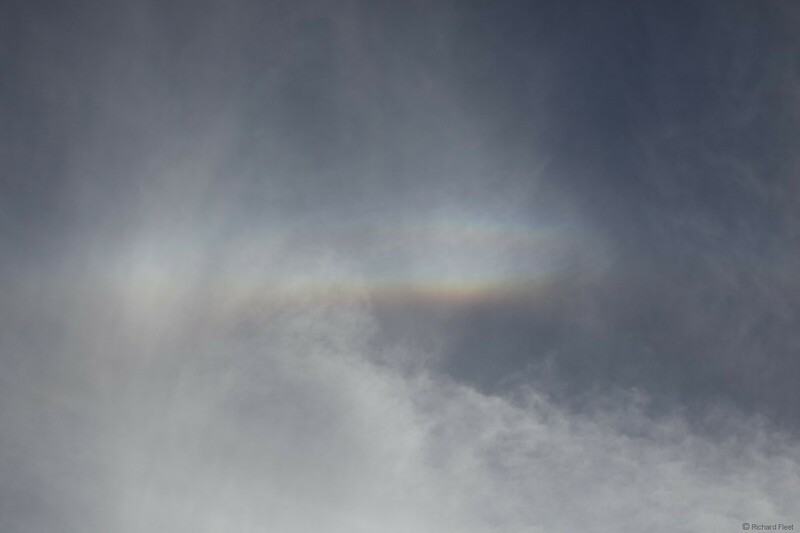 For a short while the colours in the Parry arc were quite distinct, although not as bright as the upper tangent arc just below it. The sundogs with tails were also quite distinct.